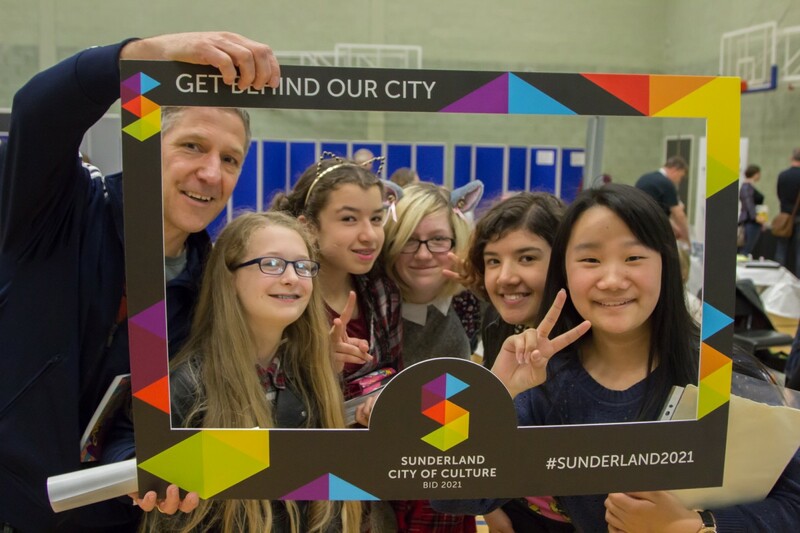 Make sure you do not miss out on the latest news and developments by joining the Sunderland City of Culture 2021 Bid Newsletter. To subscribe to our Newsletter click here. Follow us on social media. Make sure to like us on Facebook, subscribe to our YouTube channel for regular video uploads, and follow us on Twitter and Instagram. Tag us @Sunderland2021 so we can reply to you! Download the Sunderland 2021 brand pack and carry the logo across your marketing material. You can use these logos as e-mail footers, on event promotion, and/or profile pictures on social media such as Twitter or Facebook to show your support for Sunderland’s bid. Click here to download our brand pack. Spread the word! Tell your friends, family and colleagues about the bid and what it means for the city. Download Sunderland 2021 Fact Sheet that should provide you will all of the information you need. We are asking everyone to ‘nail their colours to the mast’ and ‘get behind our city’. 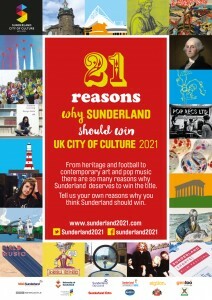 We’d love to hear your reasons and comments why you think Sunderland should be UK City of Culture in 2021. Your reason could be a specific event or your favourite place, a person or a unique characteristic, part of our history or present day. Whatever your reason is, make sure you tell us why you think it contributes to our City of Culture 2021 bid! Send your reasons and comments via email at info@sunderland2021.com, using #Sunderland2021 on social media, or send us a letter to the address at the bottom of the page. The most direct way to lend a helping hand is to offer up your time and services as a volunteer, although showing support does not always need to be time-consuming. If you are interested please contact us on info@sunderland2021.com. Request a supporters pack full of Sunderland 2021 merchandise to hand out to your friends and family. Let us know what else you are doing to raise awareness of Sunderland’s bid!